Arsenal will on Sunday face Manchester City at its home ground and it will definitely be a tough game for the North Londoners. Arsenal will on Sunday face Manchester City away from home and the encounter between these two clubs is usually outstanding. 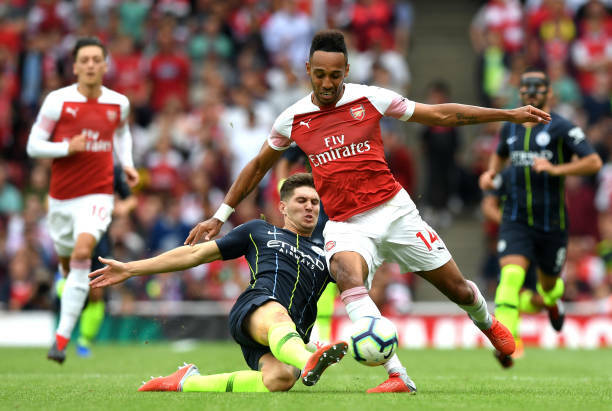 Arsenal boss Unai Emery will need to go with his best squad because the team that he will use will strongly determine their chances of getting a win at the Etihad Stadium. Arsenal has this season been struck by injuries and what’s more devastating is that most of their injured players have been defenders hence them being one of the worst teams at defending in the 2018/19 Premier League campaign. So let’s take a look at Unai Emery’s available squad for the Manchester City clash without those injured and who didn’t train with the rest of the team. That’s Unai Emery’s available squad for their match against Manchester City but the Arsenal coach will have to choose the 18 man squad that he will travel with to Manchester for the game. The Arsenal fans will be looking to see if Unai Emery will select Mesut Ozil in the 18 man squad because he has this season been leaving him out of the match day squads of the gunners when playing away from home this season.